With winter finally relinquishing its icy grip and spring just around the corner, there’s never been a better time to spruce up your office garden, courtyard or other outdoor space. In today’s increasingly fast-paced world of business, an office garden can provide an invaluable opportunity for employees to connect with one another, recharge their batteries and even reap the bountiful fruits (and vegetables) of Mother Nature. Don’t have one yet? Worry not – it’s never to late to start, and the initial overheads comprise little more than an appropriate space, a bag full of compost and a sprinkling of seeds. 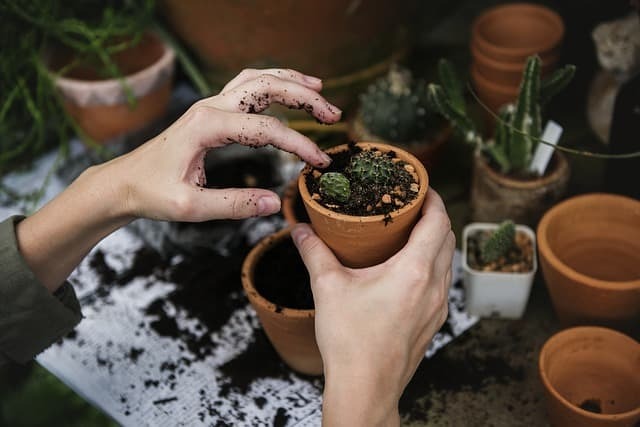 Whether you’re looking to rejuvenate an existing but exhausted office garden or plant an entirely new one from scratch, here are some tips and ideas to keep those green fingers busy. Whether you have a rooftop, a central courtyard or simply a few unused parking spaces to play with, there’s always room for letting the regenerative effects of nature into your workplace. Get creative by planting creeping vines to maximise vertical space as a living wall, or turn buckets, troughs or even old skips (like the Guardian newspaper office has done) into areas teeming with flowers and plant life. While shrubs and flowers can help boost employee morale, planting fruit, vegetables and herbs provides a more nutritional benefit, as well. Make the produce grown in the garden available to everyone during working hours and your staff will feel invested in its upkeep and valued by the business as a whole, resulting in happier, more productive staff. As mentioned above, staff will be more incentivised to tend to the garden if they are able to enjoy the fruits of their labour. Indeed, if employees can view the garden as a play to interact with their co-workers outside of the office itself, it can only result in a stronger sense of camaraderie among the workforce, itself a valuable asset in any office. Of course, you should make sure there are professional gardeners whose specific duty is to care for the green space, but encouraging participation from all office staff is also a good idea. While you want your garden to look aesthetically pleasing and to encourage relaxation, it’s also important to remember that this is still a place of work and those frequenting it will be wearing smart clothes and shoes. With that in mind, include plenty of benches to sit down on and paved areas to get around the greenery. Do you want the garden to be a place solely for reflection and repose, or for interaction between employees as well? Design its layout with either (or both) in mind, making sure you cater to your employees’ needs. It might also be worthwhile to ban smokers from indulging in their addiction inside the garden itself, since this could quickly discourage other staff members from using it and devalue its natural beauty. While the benefits of having an office garden are well-documented, some companies are just too small or too busy to afford the time needed to plant and maintain an attractive space. Why not let the professionals take responsibility? At Regional, we offer a wide variety of gardening services which are guaranteed to keep any outdoor office space looking as pristine and appealing as the day it was planted.